Little tarts like these always remind me of the afternoon tea parties Mum used to have with her friends. I’m not sure she made these particular tarts, but the sight of the pastry, filling and cream somehow brings back memories of getting home from school and being allowed to eat the leftovers…………..ahhhhhhhhhhh………..delicious memories. 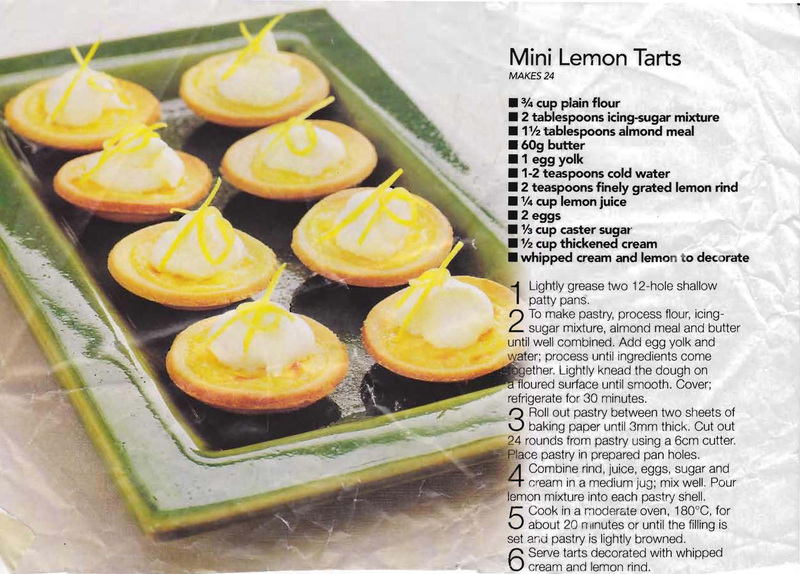 This entry was posted in All Recipes, Biscuits & Slices and tagged 1980s, almond meal, cream, lemon, mini lemon tarts by bebsrecipes. Bookmark the permalink.